Posted on June 5, 2018 at 11:19 am. Bringing vast experience as an innovator in the medical device industry, Peter Simpson has joined IMRIS as Senior Vice President of Research & Development. For more than 13 years, Simpson has delivered innovative, successful products at benchmark technological organizations, including Baxter, Covidien, and Philips, where he held several leadership roles within the diagnostic imaging business units. 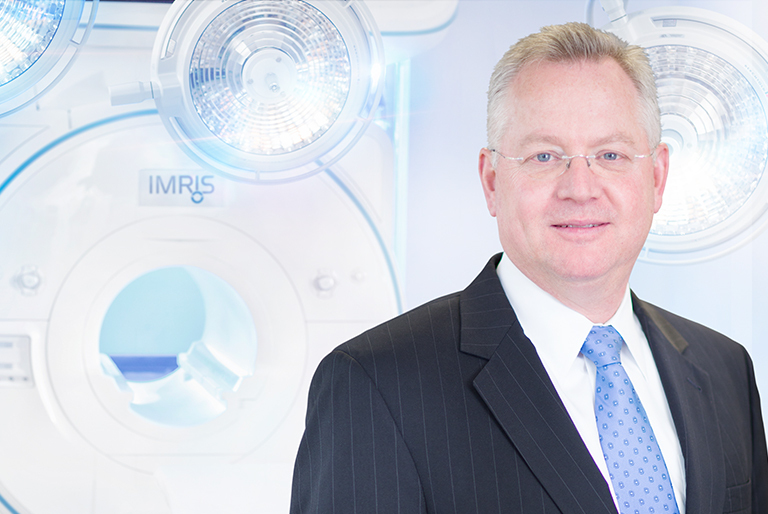 “Innovation is at the core of our mission,” says IMRIS President and CEO, Andy Flanagan. Simpson, who has developed products in healthcare, consumer goods, and even aerospace engineering, strives to balance technical ingenuity with user-first design. Simpson has held leadership roles at Baxter, Covidien, and Philips. His work has focused on cross-functional development and business line portfolio management processes in multiple industries and businesses. At Philips, Simpson led R&D for the X-ray business unit from Hamburg, Germany and the MR Advanced Clinical Solutions team in the United States. He also co-founded and led R&D for the Radiology Solutions business unit. In his most recent assignment – as Sr. Director of the Diagnostic Imaging Idea-to-Market Team at Philips – Simpson was responsible for improving strategic customer engagement, diagnostic imaging business positioning, and critical product quality improvements. Simpson earned his Bachelor’s degree in Mechanical Engineering and Product Design at Stanford University.